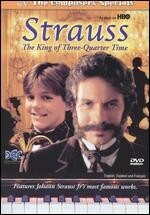 The waltz was all the rage in 1860’s Europe, and composer Johann Strauss Jr. was the known as the "King of Three-Quarter Time." In this movie , Strauss (Michael Riley) is stressed by the pressure of outdoing himself with each new composition and the memory of his late father’s disapproval of his music. Retreating to a country estate, Strauss meets Nicholas, a stable boy who is brutally abused by his stepfather. Together, the two find the strength to overcome their emotional and physical scars and collaborate on music that will thrill generations to come. 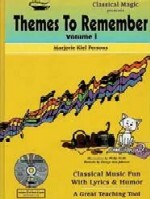 Designed to introduce children to classical music and composers, the video features music from Strauss’ "Tales from the Vienna Woods," "The Blue Danube," "Vienna Blood," "Roses from the South," "Perpetual Motion," and "Explosions Polka."